Baker Furnace provides a wide-range of aftermarket parts and services for industrial ovens, furnaces, and pollution control equipment, including industrial oven and furnace replacement parts and oven/furnace repair services. The Baker Furnace service team is committed to helping our customers maintain their current equipment to ensure it is operating at full capacity. Equipment that is maintained properly increases profitability, improves efficiency, and minimizes downtime for maintenance issues. 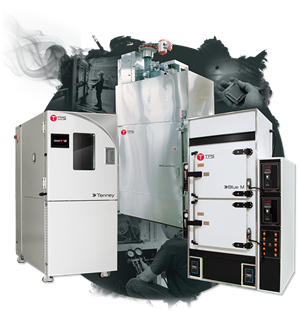 Our parent company, Thermal Product Solutions (TPS), offers a large selection of both industrial furnace and oven rentals, as well as refurbished equipment. In 2004, Thermal Product Solutions (TPS) recognized that the industry lacked a source for high quality used and refurbished environmental chambers. Sure, there are many sellers of TPS used and refurbished equipment, but the quality of this equipment was not up to par with our expectations. For this reason, TPS decided that it was time to enter the refurbished equipment market. Baker Furnace has an extensive list of industrial oven replacement parts, industrial furnace replacement parts, and pollution control equipment replacements. These parts range from thermocouples, electrical components, and motors to custom fabrications. Baker Furnace offers a variety of installation services from a supervised install to a completely turn key install. For a supervised install, a factory trained technician will supervise your crew throughout the set up and installation of equipment. During a turn-key installation, our factory trained technicians handle everything from start to finish. Preventative Maintenance (PM) programs are scheduled visits by a factory trained technician to perform routine maintenance on your industrial oven, furnace, or pollution control equipment. By implementing a PM service program you will minimize downtime for repairs, ensure peak productivity and performance, and reduce early deterioration of your equipment. Baker Furnace offers complete Calibration Services for temperature controls and recording instruments which include NIST Calibration Certificates and ISO17025 Accreditations from A2LA for all makes of industrial furnaces, ovens, environmental test chambers, walk-in chambers, and a variety of other lab equipment. Why choose an accredited calibration over a NIST traceable calibration? Being NIST traceable simply means that the equipment being used to calibrate customer’s equipment is traceable to NIST standards, but an A2LA accreditation means a bit more. 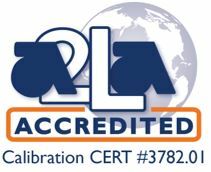 A2LA is an accreditation body that accredits outside laboratories to numerous standards, specifically ISO 17020, 17043, 17065, and 17025. Thermal Product Solutions is accredited by A2LA to ISO 17025 standards which means not only is TPS equipment NIST traceable, but also the methods we use comply with ISO 17025 standards. Thus, an A2LA accreditation is always NIST traceable, but NIST traceable calibrations are not always A2LA certified calibrations. Customers can also rest assured that by having an A2LA accredited calibration they are receiving a product that has a fully implemented quality system that reviews every detail of every service performed. If you need a custom protocol written, we offer the capability to tailor the protocol to your equipment. During a start-up and training service, our aftermarket service team provides hands-on training for the equipment operator and maintenance personnel. A factory trained technician is on-site for the entire start-up and training process. The training includes routine maintenance procedures, operation controls, and a complete overview of the instruction manual. The Baker Furnace service team offers certification and uniformity testing for industrial ovens, furnaces, and pollution control equipment. In most cases, uniformity testing is complete in a single workday. Our aftermarket service team can assist you with a variety of modification and refurbishing services for industrial heating equipment. These include fabrication services, electrical and combustion components, and material handling.